A performance about the strong force of the free mind and when the law of time and space have ceased to exist. 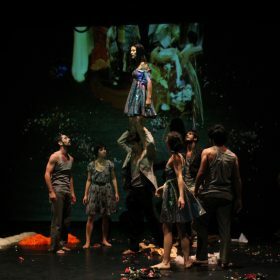 In one of our biggest productions Memory Wax meet, with its minimalistic and strong stage language, 8 dancers from vigorous Danza Teatro Retazos from Cuba in a captivating whole evening performance. Together both companies, with perspectives from different parts of the world, turned and twisted on questions concerning limits and boundlessness. Possible Impossible takes off from a landscape where the known laws of time, space and power have ceased to exist. Imagine an associative world of magic, dreams and absurd impressions – where one dream relieves the next, and you fall, fly and balance between reality and fantasy. In this surprising world of dreams the door opens to other universes, where the mind is free and the impossible becomes possible. Possible Impossible was 2015 awarded with the prize Villanueva from the Cuban UNEAC (la Unión de Escritores y Artistas de Cuba). Possible Impossible is available for tour 2017-2018. 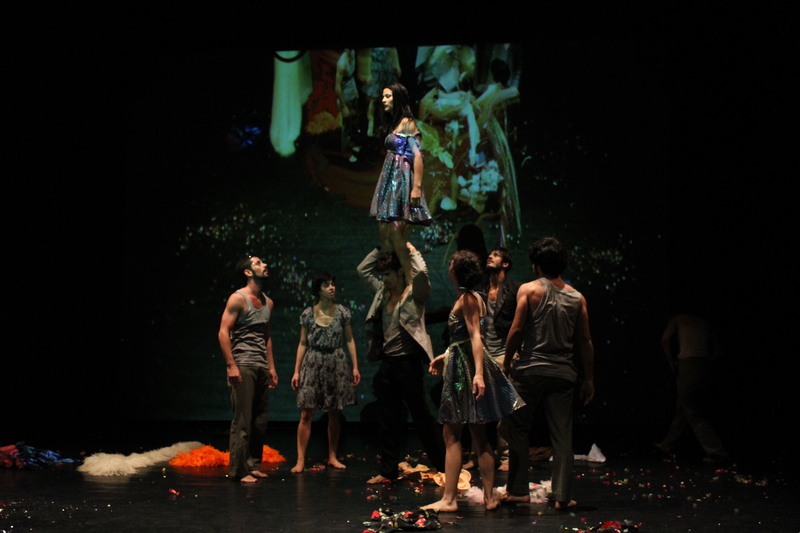 Possible Impossible has toured in Cuba, in Uruguay, in Sweden within Dancenet Sweden and VASS – scenkonst som vågar, in Canada to Vancouver Playhouse, Vancouver International Dance Festival and in the US to Miami Dade County Auditorium. The production is funded by EU Europe Aid – project Retazos Evoluciona, Swedish Arts Council, Swedish Arts Grants Committee, Kultur Skåne, Malmö Culture Committee, Hanns Seidel Foundation, Folkuniversitetet in Malmö, Ministerio de Cultura/Cuba, Consejo de las Artes Escénicas/Cuba, Oficina del Historiador de la Ciudad de La Habana/Cuba, HIVOS/Cuba and the Swedish Embassy in Havana. Possible Impossible premiered at Inkonst, Malmö, 26th of March 2014. Memory Wax celebrated its 10th anniversary in 2014 and Possible Impossible was one of the major events that year.